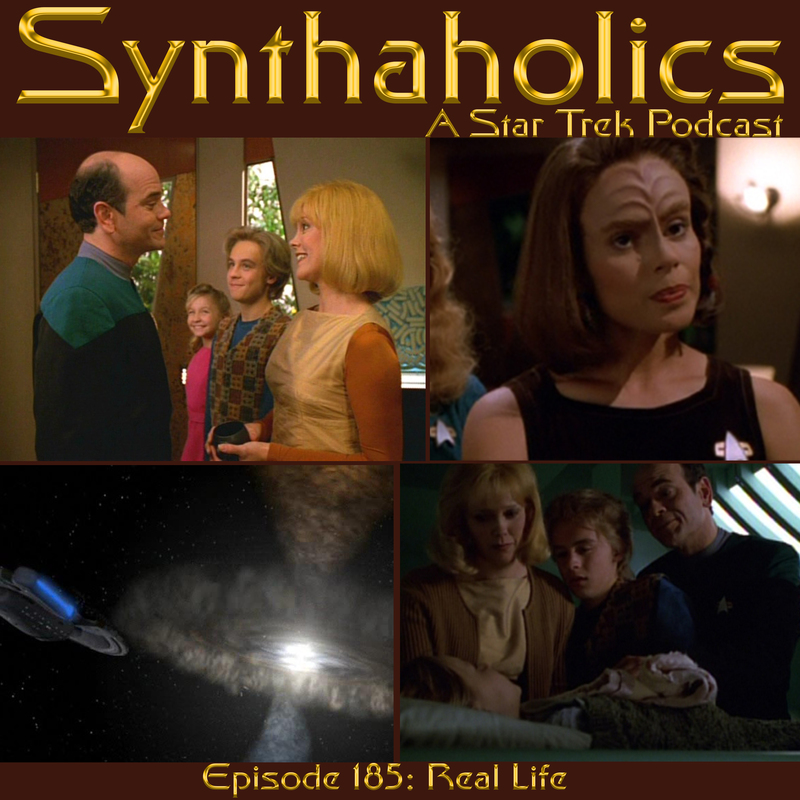 This week on Synthaholics David and Aaron discuss the Star Trek Voyager episode Real Life. Unfortunately Holly was not feeling well this week and unable to join us. 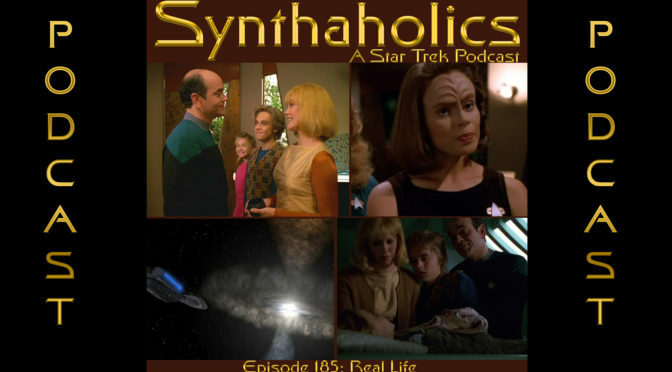 But before we get into the voyager episode we talk a little Discovery news and about our expectations for season two. We quickly discover that Real Life is one of Aaron least favorite episodes of Star Trek. While David doesn’t love the episode he is able to find more redeeming qualities in the episode. After the episode recap we get into talk about family life and how it was growing up for Aaron and I and how we compare to the doctors children. Pour yourself a double of whatever you are drinking it’s time for your weekly shot of Star Trek!